I am frequently asked about my journey to how I began playing the harp, so let me tell you about that first! When I was around 4 years old, I remember watching a child's program on the television. That day, they had a "show and tell" of two young girls playing harp. As soon as I saw these girls on the TV performing this instrument, I was completely enraptured. I begged my parents daily to let me play the harp. Being so young, and the harp being an uncommon instrument to find an instructor for, it took many years of persistance until my parents finally believed this was my passion. I began playing the harp when I was 8 years old, studying with Marie Lorcini at Hamilton Suzuki School of Music. I continued my studies here until the end of highschool. During this time, I performed in Kiwanis Music festivals. The very first year I won the award for Best Promising New Musician, and I later was awarded Provincial Gold in Harp. I also completed my Royal Conservatory of Music exams up to Grade 9. I always knew I wanted to pursue harp throughout my lifetime, but up until highschool I was perfoming on a smaller lever harp, which is more limited technically for pieces you may play. In order to advance to a grand concert pedal harp (both a technical and financial decision), talking with my parents we decided it would be worthwhile to continue my music education in university. In university at Western Ontario, I concurrently studied both Music Performance for Harp, and Biological Sciences (my other passion). I studied under the direction of Alyssa Michalsky at Western, and I further honed my performance skills also playing in chamber and symphony orchestas. Since graduation, I continue to perform with Western Orchestra as well as guest performing with London Symphonia. 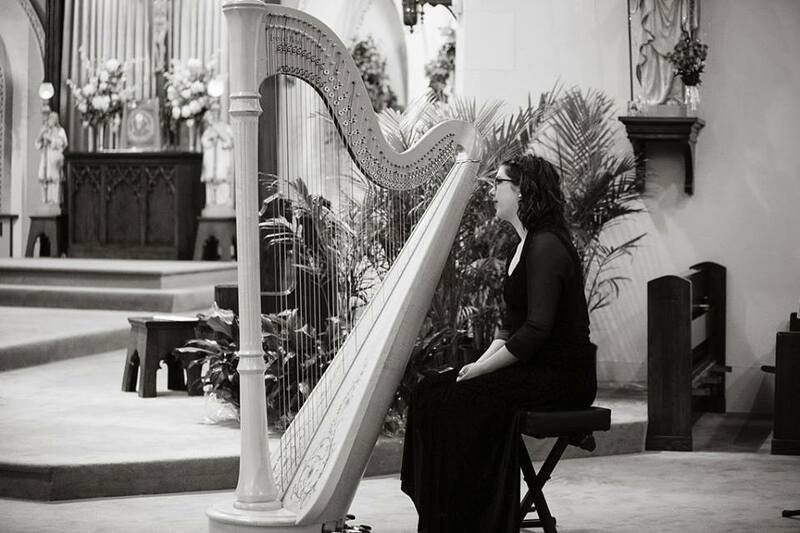 I primarily perform harp music for special events, mainly weddings, in the London and Southwestern Ontario region. I have also pursued the idea of teaching harp, and am setting up my current residence to facilitate the teaching and learning of this magnifient instrument. I would love to make your event truly unique with the harp. Please contact me to get started and plan your special day!